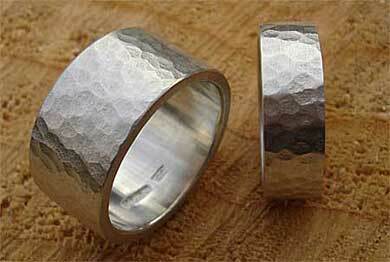 Men's Hammered Silver Wedding Ring : LOVE2HAVE in the UK! 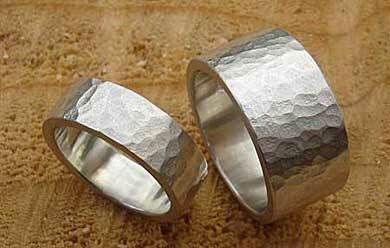 A flat profile styled men's hammered silver wedding ring made in the UK from solid 925 sterling silver. The widest width shown on the main image is 10mm, but it is also available in 4mm and 6mm versions too. 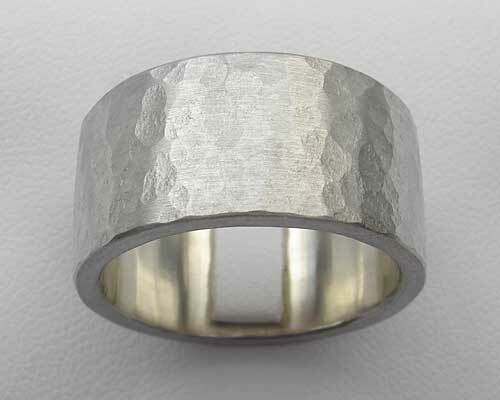 The silver surface has a soft matt hammered texture, and the wall thickness of all the rings is 2mm. The inside of the ring comes finished off smooth, and we have had some customers let us know as to how high the quality of these silver rings are. 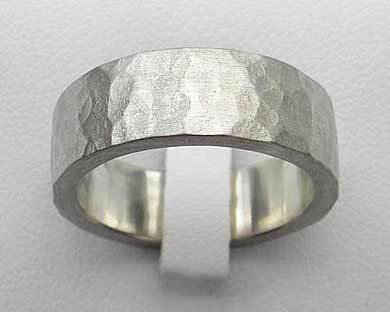 If you find yourself looking for men's or women's chunky silver wedding rings made in the UK, then these rings are just what you might be looking for, and this one ticks all the boxes with its hand finishing. Because the wider 10mm version is very suitable for men, we often get asked about doing Z plus sizes which we can, and we are happy to quote you a price for these sizes upon request. An excellent piece of silver men's jewellery with contemporary styling that coordinates very well with most people's tastes. Shown here is the 6mm version also. These rings have a 2mm wall thickness. Width(s) Available: 4mm, 6mm and 10mm.